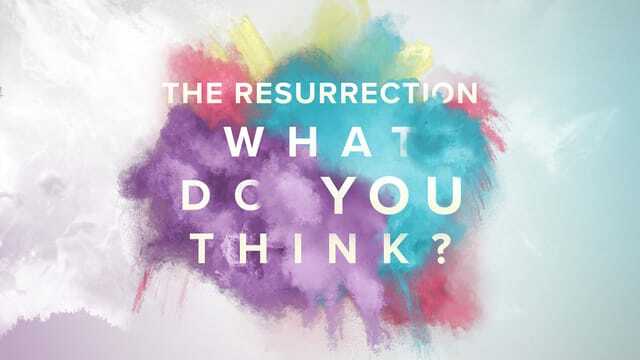 On April 1, The River (@HitTheRiver) talks about how we have hope in life and eternity because of the resurrection of Jesus. Interested in learning more about The River Church? Pastor Brad will be teaching our River 101 class on Wednesday, April 11 from 6:15pm-8:30pm. This is a great way to learn what we believe, how we operate, and where we’re heading. If you are interested in membership, the class is a prerequisite. Sign up at https://hittheriver.churchcenter.com/registrations/events/112479. Opening Day for softball is in 24 days on April 24. If you played last year and want to play again please let us know if you have not already done so. There will be practice on Sunday, April 8 at 2:00pm over at Monroe Community Park (412 Old St, Monroe, OH 45050). Please sign up on your connection card so we can add you to the roster. We will be having a meeting on Sunday, April 15 after the 11:15am service for any parents of students in 6th-12th grade. The meeting will be covering the upcoming love/relationships series that we will be doing in April/May. If you have any questions, contact zach@HitTheRiver.com. Join others ages 18-30 for a Compass Dinner and game night on April 22 at the Hilty house, 6709 Silver Skate Drive Liberty Twp. Come around 4:30 p.m. and bring a favorite game. For more information, call Lindsey Hilty at (513) 371-3566. I have hope in life and eternity because of the resurrection of Jesus. 1. Everything hinges on the resurrection. 2. It was impossible to fake the resurrection. 3. All the evidence supports the resurrection. A. The tomb was empty. B. It was impossible to steal the body. C. It was impossible for Jesus to resuscitate victoriously. E. There were multiple eyewitnesses of Jesus. F. The historical evidence supports the resurrection. G. The disciples put their lives where their faith was. H. The greatest persecutor became Jesus’ best-known follower. I. Jesus’ followers were immediately bold. J. Jesus has changed lives throughout history to today. A man who has said the sort of things Jesus said would not be a great moral teacher. He would either be a lunatic—on a level with the man who says he is a poached egg—or else he would be the Devil of Hell.